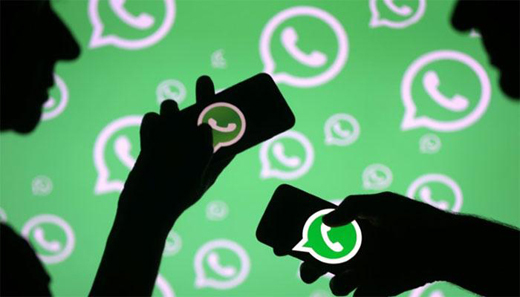 New Delhi, Jul 03, 2018 : The government has asked WhatsApp to take immediate action to end the menace of spreading messages that impact the country’s law and order situation and ensure that the platform is not used for such malafide activities, an official statement said on Tuesday. "Instances of lynching of innocent people have been noticed recently because of large number of irresponsible and explosive messages filled with rumours and provocation are being circulated on WhatsApp. The unfortunate killing in many states such as Assam, Maharashtra, Karnataka, Tripura and west Bengals are deeply painful and regrettable," the statement from the IT Ministry said. It added: "While the Law and order machinery is taking steps to apprehend the culprits, the abuse of platform like WhatsApp for repeated circulation of such provocative content are equally a matter of deep concern." The Ministry of Electronics and Information Technology has taken serious note of these irresponsible messages and their circulation in such platforms. "Deep disapproval of such developments has been conveyed to the senior management of the WhatsApp and they have been advised that necessary remedial measures should be taken to prevent proliferation of these fake and at times motivated/sensational messages," the statement said. The government has also directed that spread of such messages should be immediately contained through the application of appropriate technology. It has also been pointed out that "such platform cannot evade accountability and responsibility specially when good technological inventions are abused by some miscreants who resort to provocative messages which lead to spread of violence."